The Utah State University Remote Sensing/GIS Laboratory’s DJI s1000 sUAS on landing approach near Logan, Utah, Feb. 2015. In honor of Earth Day, today’s post is about earth observation technology—specifically, drones. You may have noticed that drones—or unmanned aerial vehicles (UAVs)—have been surging in popularity lately. They seem to be all the buzz at industry trade shows, and it’s easy to see why—they’re just plain cool. The number of possible uses for drones is incredible, including everything from agriculture, to reforestation, to asset management, to assisting with insurance claims, and so much more. However, the technology faces strict legal regulations presently, which leaves the future of drone usage in question. We thought we’d bring our product managers, Josh Egan and John Florio, in on the discussion to hear what they had to say about UAVs, and particularly, what part they think drones will play in the future of data collection. See what they thought below. Q: If drones continue to grow in popularity and use, how will that change how rugged handhelds are used to collect data? John: Drones are especially adept at capturing a large amount of data very quickly, so for collecting data from large areas that must be covered in a short amount of time, a UAV may be more effective than using individual rugged handhelds. In some cases such as this, UAVs may replace individual handhelds. But in most cases, I believe UAVs and rugged handhelds will work together in a complementary fashion, where the handheld acts as the user interface or controller for the UAV. For example, say you’re going to use a UAV for studying invasive weed species through photogrammetry. To capture the imagery, you need some sort of ground control to set the scale of the image. So the handheld is used in conjunction with the UAV to establish control points on the ground, which are visual markers that will be captured in the photography. Q: While considering the current legal situation of UAVs, where do you see their future going? Josh: Initially we’re seeing a lot of UAV usage in industries like agriculture or on private property, and I think we’ll continue to see increased use as legal regulations ease up. Amazon wants to use drones to deliver packages. If that were to happen, that could change everything, especially the price and range of these UAVs. In the future, UAVs could be used for a wide variety of applications, such as insurance. 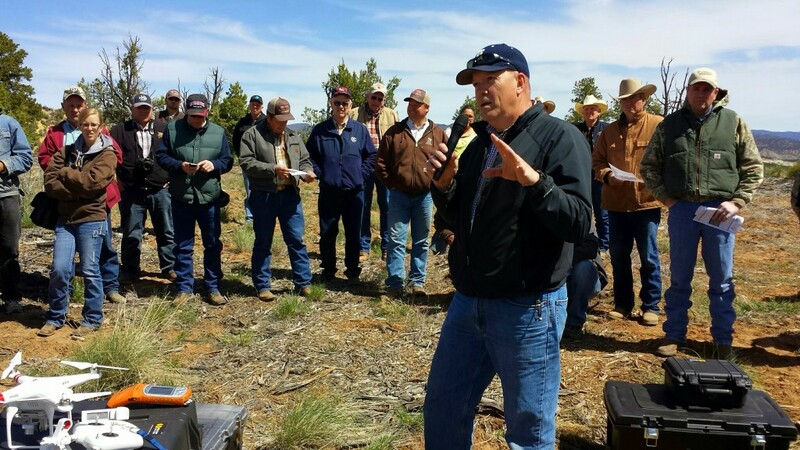 Dr. R. Douglas Ramsey discusses the use of sUAS with ranchers and land managers near Orderville, Utah in April 2014. Juniper Systems’ Archer Field PC with XF101 is used for ground control. Q: Will drones eventually start to replace rugged handhelds in certain applications, or will rugged handhelds always have a place in data collection? John: Rugged handhelds are used to capture textual or menu-driven data about specific objects, based upon user observation, whereas UAVS are used to capture large-area data that will be analyzed later. While handhelds and UAVs may increasingly work together to collect data in the future, the types of data that each device can collect are different. For instance, UAVs are mostly used for image-processing and image management. So, for that reason, rugged handhelds will always be a critical component of data collection. Q: What are some of the concerns of using UAVs for data collection? Josh: The concerns right now are mostly political, involving issues of privacy. Maintaining people’s privacy is one of the bigger challenges presented by UAVs, and ensuring that those concerns are met. Q: What are some of the advantages of using UAVs? John: UAVs are especially useful for accessing hard-to-reach places, like the top of a telephone pole, for instance. For areas like that, UAVs provide a safer alternative to collecting that data than sending an actual person. They’re also great for covering large areas in a short period of time. An example of that is livestock management, where you might use a rugged handheld to install RFID tags on each animal. You would read the tag, record information about the animal on the tag, and then you’d send the animals out into a pasture. Then you could fly a UAV out over the pasture and capture data from all of those RFID tags in a very short period of time. The other advantage UAVs offer is cost savings. For instance, in the case of aerial photography, the cost of using a UAV is less than 1/10 of the cost of hiring a pilot to fly over an area with a full-sized airplane, and the data quality would be the same. Another advantage of a UAV is the ability to carry a wide variety of external sensors to remote locations. 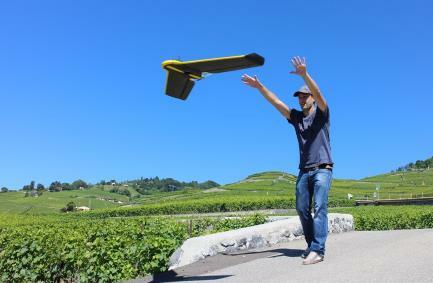 For example, farmers can use special sensors on UAVS to collect data like moisture in their crops. They can use this information to water more strategically and avoid over-watering and over-fertilization to reduce environmental impact. Q: What are some of the disadvantages/limitations of UAVs? John: In some instances, higher operational costs can accompany the use of UAVs. And sometimes operations are made more complex, because you’re remotely controlling a flying object. UAV technology is still considered to be in the experimental phase, so there are many limitations surrounding their use. The primary concern is public safety as well as the risk of liability. For instance, if a person is using a drone as part of their business, and that drone is providing imagery of buildings. Say they accidentally crash the vehicle, it causes a fire and burns down a building…obviously there’s a lot of personal liability risks there, which may result in high insurance costs for companies to operate UAVs. Another current disadvantage of drones in the U.S. is that legally, they must be under individual operator control—they cannot be programmed to carry out a series of tasks without an operator, for safety and liability reasons. Q: How do UAVs & rugged handhelds work together as individual components of a data collection solution? Josh: Rugged handhelds will always be needed for data collection in the future. A drone doesn’t have a user interface, so either the handheld is used to control the drone, or it can be used to gather and visually display the data real-time. With a UAV, you may not always have connection to the cloud, so the handheld acts as your connection. The drone acts as a sensor to collect the data, and the handheld acts as the user interface for you to view the data and make decisions. Q: What are some applications that would benefit from using UAVs for data collection? John: The industry that can probably benefit most from UAVs right now is agriculture, where drones can be used for everything from examining crop production, to detecting pests or early disease, to applying pesticides—which is being done in Asia right now—and many others. 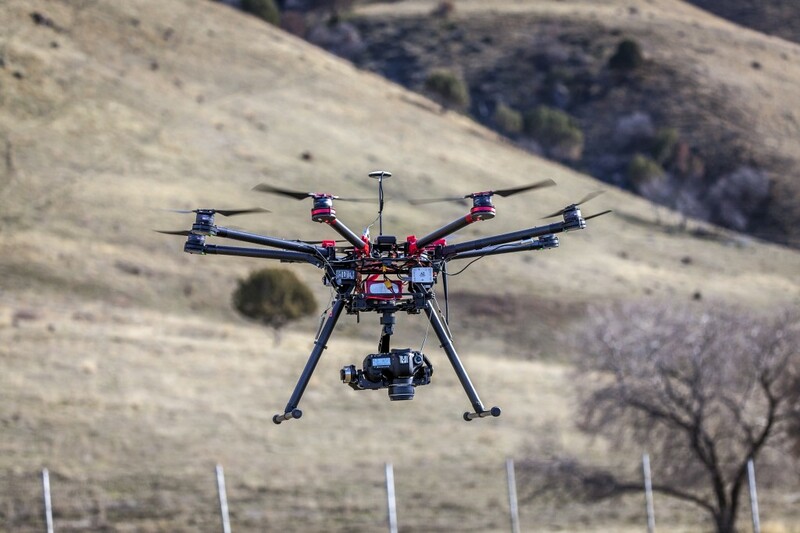 The next biggest industry to benefit from UAVs is probably public safety. UAVs could provide constant surveillance for crime prevention, for example. Or imagine having mobile cameras constantly moving around large power plants or industrial facilities. You’d be able to protect people and property much easier. Another application that is benefitting from drones is border control. With a limited number of people that can be employed for patrol, enlisting UAVs in those efforts is huge. UAVs would also be useful for inspections, especially large or difficult-to-access areas. Also environmental sciences, such as detecting and mapping oil spills, mapping moisture content in soil, identifying invasive species, tracking animal movements, or weed mapping. The defense industry is an obvious one, as they already utilize UAVs frequently. Cinematography is another big one. Think of a camera boom that’s not tied to anything. Filming the “first-person view” is always difficult, and UAVs open up a whole new world of creative filming. Those are just a few. Q: What are some applications that probably wouldn’t benefit from UAVs? John: My prediction is that we probably won’t see drones delivering pizzas in the near future. That’s kind of a fanciful application. What could be real is delivering medicines or vaccines to remote areas, such as a ship at sea, since the size and weight that most UAVs can handle is pretty small. There are also plenty of applications in environments that would require a UAV to maneuver around a lot of objects, which would be very difficult. In those cases, using a UAV probably isn’t the best option. Of course, this is still a new technology, and we shouldn’t underestimate the creativity of the human mind to solve problems in new ways. So that’s what our product managers have to say about the future of drone usage. What do you think? To learn more about Juniper System’s rugged handhelds or how they might work alongside a UAV in the future, contact us online or by phone at 435.753.1881. It’s really fascinating to see how drones can be practically applied to industries such as agriculture. Thanks for pointing that out! Drone technology still seems so young, so I’ll be interested to see what other applications we find as times goes on. I’m sure there are great things in store. Agreed! Definitely a huge amount of untapped potential there!